I had this on another forum and its a lot of fun. 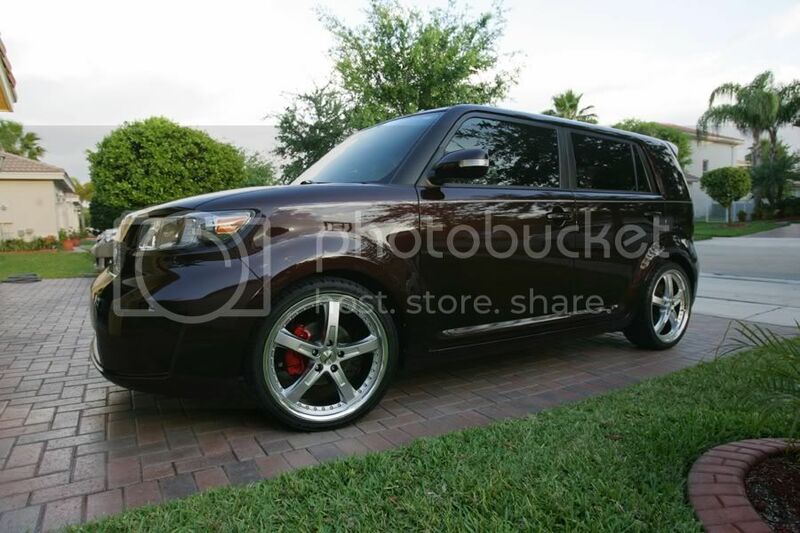 Basically its a place to show off random pics of your xB. I dont know about you all but i like taking pics in different locations and just randomly and or when i do a new mod that isnt worth making a new thread for. So basically just throw up a newer pic of how your xB sits now and keep updating, its a lot of fun and better than having random threads. ill start it off, got my HIDs and yellow fogs installed. still been raining off and on so its filthy. and screw Toyota making it almost impossible to put fogs in without cutting up your hands! Last edited by JRINCON17; 04-16-2011 at 05:17 PM. 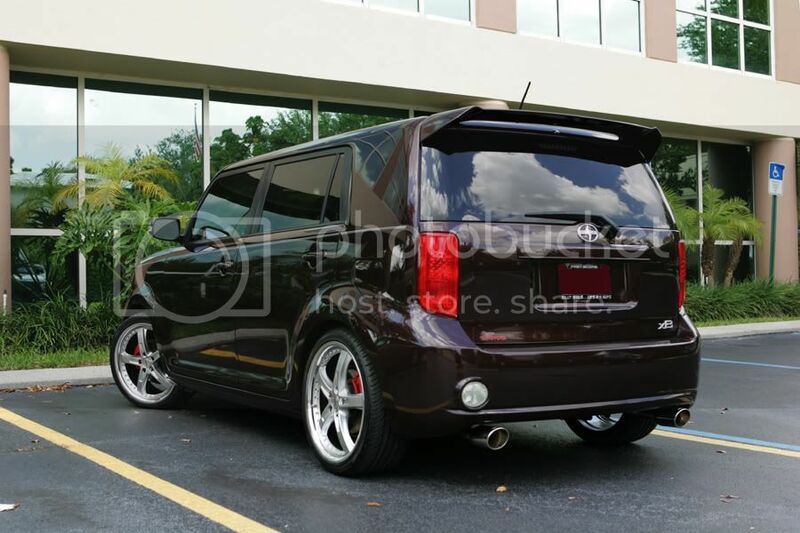 Here is my son's xB2 after a visit to DT Performance in Ft Lauderdale last Friday. 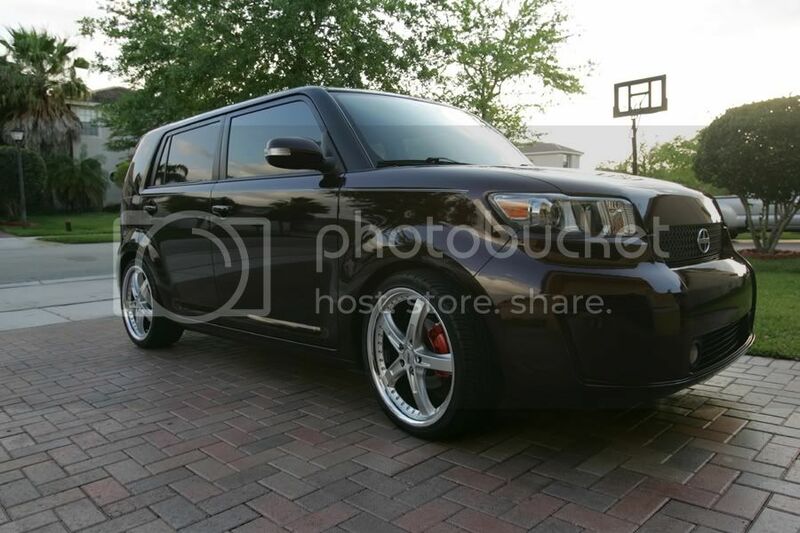 Ordered TRD springs, TRD strut tower brace, and Hotchkis sway bars from Sparks Toyota. DT Perf. did the installs as well as the new wheels 19" TSW Jaramas riding on Kumho 235-35-19 tires. 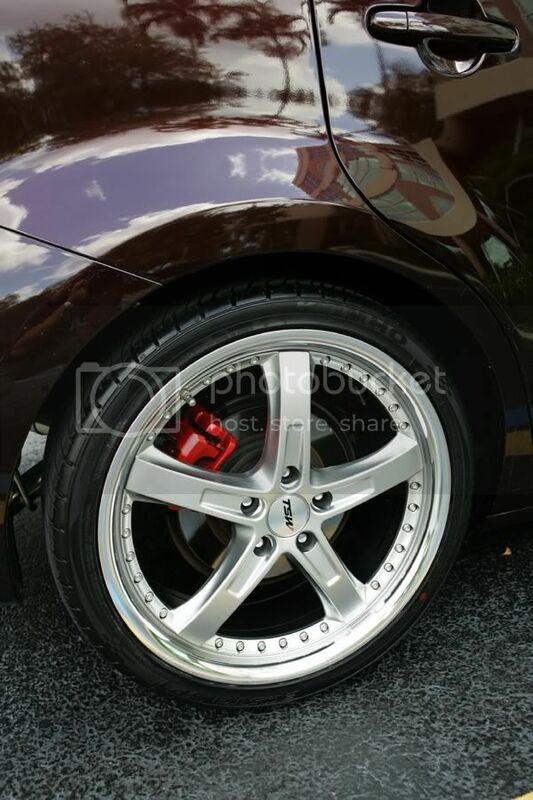 They even painted his calipers. Last edited by BoxGT1; 03-30-2011 at 12:53 AM. Whats the tint specs BoxGT1? it looks good, real clean. Looks great ! How was spring break for the pappa? haha. Just kidding , looks really clean, when are you getting the turbo? more changes coming this weekend though.